Earlier today, the My Brother’s Keeper Alliance sent the e-newsletter below to those interested in its work. If you’d like to receive updates like these in the future, you can join the list here. 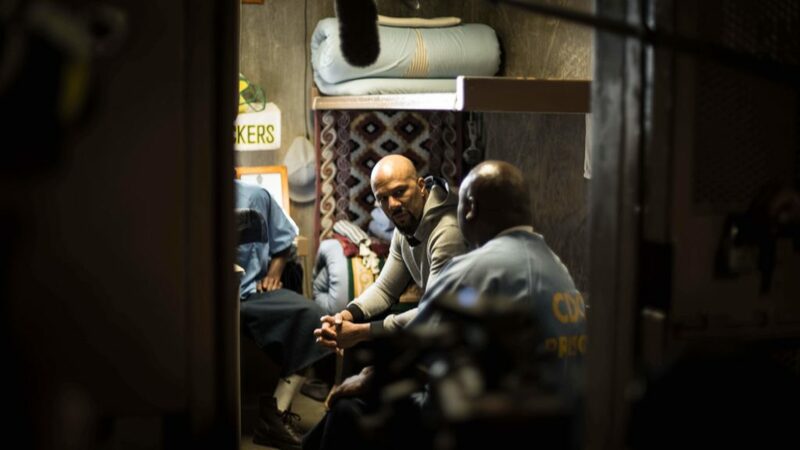 That’s how Common opened a powerful story of a young incarcerated man that inspired his “Imagine Justice” initiative. On Monday, July 23, the award-winning American hip-hop recording artist, actor, film producer, and poet, joined MBK Alliance for our inaugural online Town Hall. The Town Hall was led by our Advisory Council youth members Malachi Hernandez and Senegal Mabry and provided a forum for learning, sharing, and Alliance updates. In addition to a Q&A with Common, the Town Hall highlighted Regent Lester Young and Dr. Anael Alston, who are leading the statewide implementation of My Brother’s Keeper in New York. WATCH HERE. 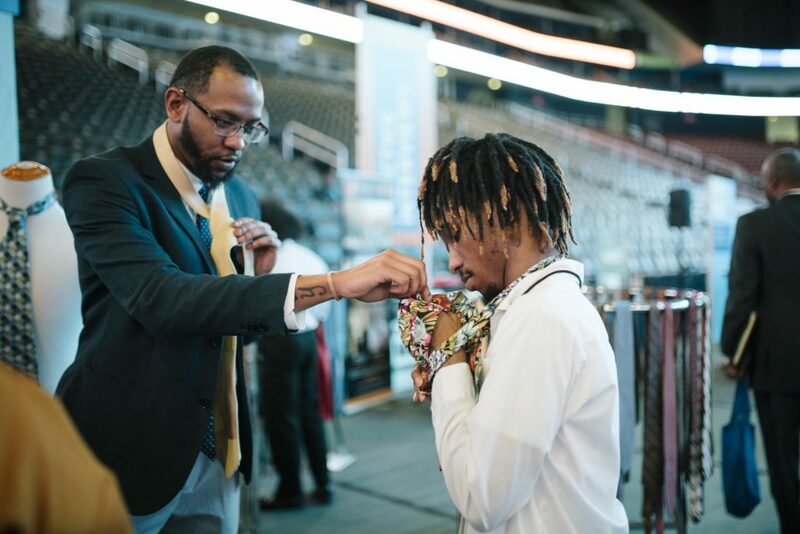 In Denver, the My Brother’s Keeper initiative continues to inspire local youth and community leaders and unite them with voices in business and government to ensure boys and young men of color have access to life-enhancing opportunities and pathways. 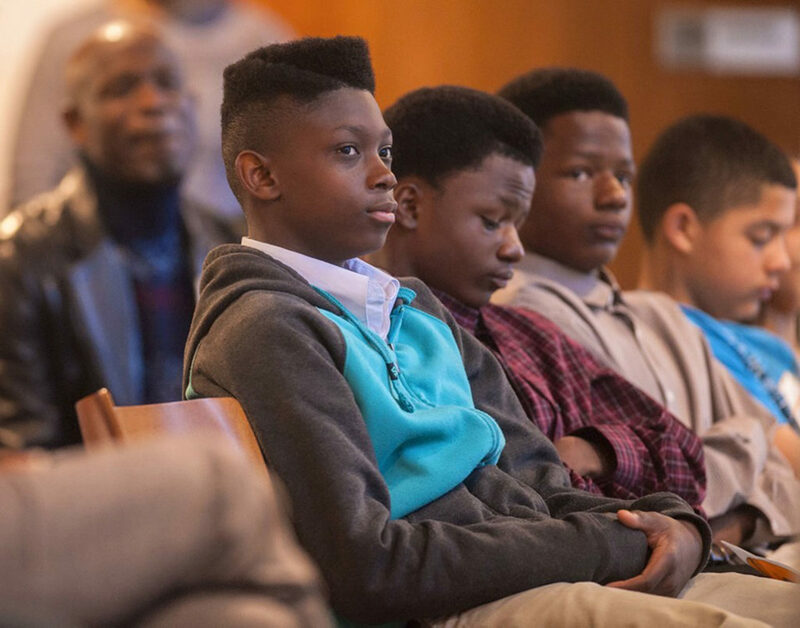 Through a data-driven approach, MBK Denver is studying the complex barriers that local young men of color face and working to identify and implement steps to improve outcomes for boys and young men of color. LEARN MORE. 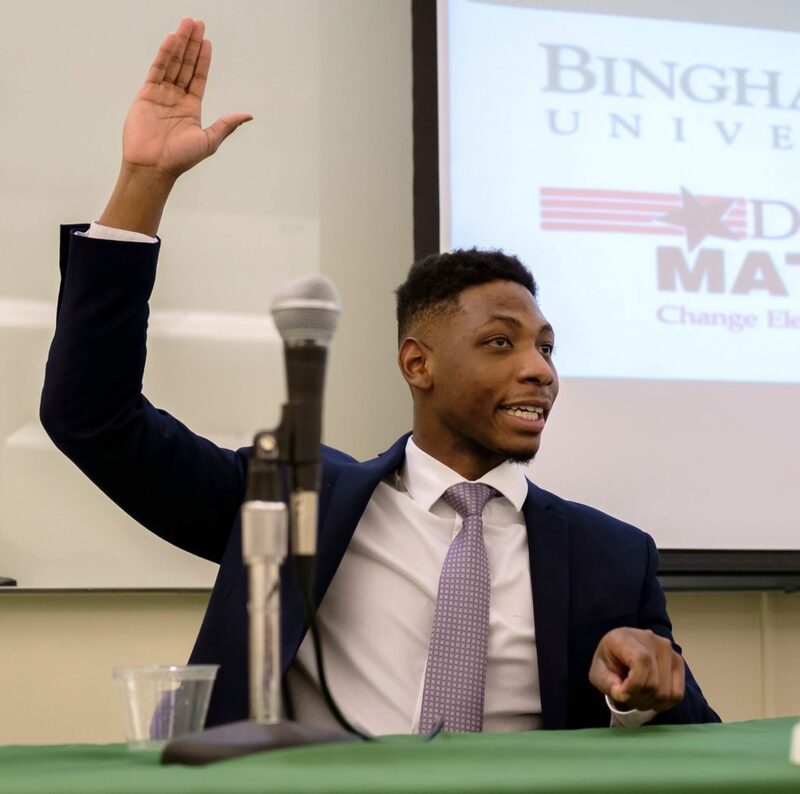 When he’s not hosting Town Halls with Common, Senegal Mabry is an MBK Alliance Advisory Council young adult member. Having grown up in the the Bronx, Senegal is passionate about providing a voice for communities that have traditionally been left out of the conversation. Senegal is currently pursuing a Master’s in Public Administration at Binghamton University and serves as the assistant to the Chancellor of the New York State Education Department Board of Regents, experiences that build on his deep understanding of public policy and his desire to create opportunity for boys and young men of color. READ MORE. In October, 2017, MBK Alliance announced an investment in the Albuquerque Community Foundation in partnership with MBK Albuquerque and the City of Albuquerque to create a new program called MentorMe. MentorMe is a first-of-its-kind grant opportunity for nonprofit organizations that are providing creative and innovative mentorship opportunities to benefit young men of color in the Greater Albuquerque Area. Today, the program supports mentorship, violence prevention efforts, and helps young men of color gain access to economic opportunities that can lead to long-term employment. LEARN MORE. 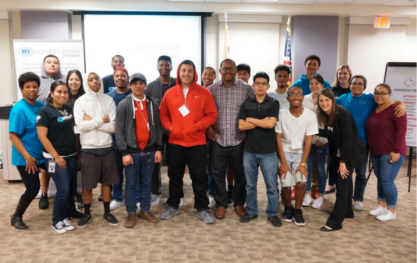 This year, MBK Long Beach reached another milestone with the completion of the Health Equity & Violence Prevention Youth Leadership Program, a six-month initiative for local youth of color. The program, funded by MBK Alliance in July 2017 following our Western Regional Summit, provides young people with the skills they need to advance population health and health equity, while preventing violence through community organizing and engagement in the City of Long Beach. As a part of the program, each participant is expected to subsequently train 40-50 of their peers in these skills. We’ve created a short video about this inspiring and worthy program. WATCH HERE. Earlier this year, current NBA champion and long-time MBK champion, Steph Curry, took to the court in a pair of custom MBKA Curry 4 kicks. 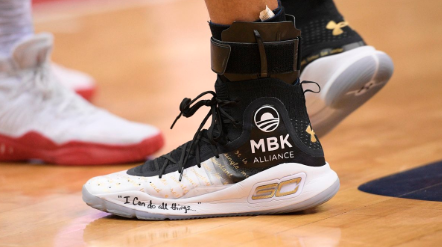 The hand-painted shoes were autographed and raffled for nearly $28,000 to benefit the MBK Alliance, matched by the National Basketball Players Association Foundation for an additional $25,000. Thanks to Steph for always stepping up and standing out for My Brother’s Keeper and the boys and young men of color we serve! LEARN MORE. On August 9, the Obama Foundation released our first annual report, demonstrating how we’re fulfilling our mission to inspire, empower, and connect people to change their world. As a core part of the Obama Foundation, the MBK Alliance is featuring, along with several other Foundations initiatives and details about the Obama Presidential Center and Museum. READ MORE. We’re looking to hire a Senior Communications Associate who can lead a multimedia effort to illuminate and amplify the remarkable efforts underway across the country to advance the critical mission of My Brother’s Keeper. Also, be sure to check out other exciting career opportunities at the Obama Foundation. READ MORE.